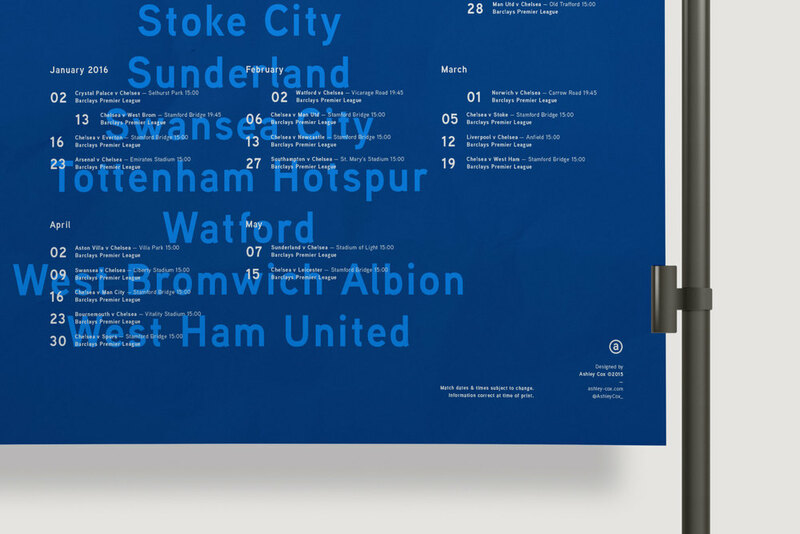 A series of posters continuing from last seasons style of showing each of the 20 teams fixtures during their campaign. 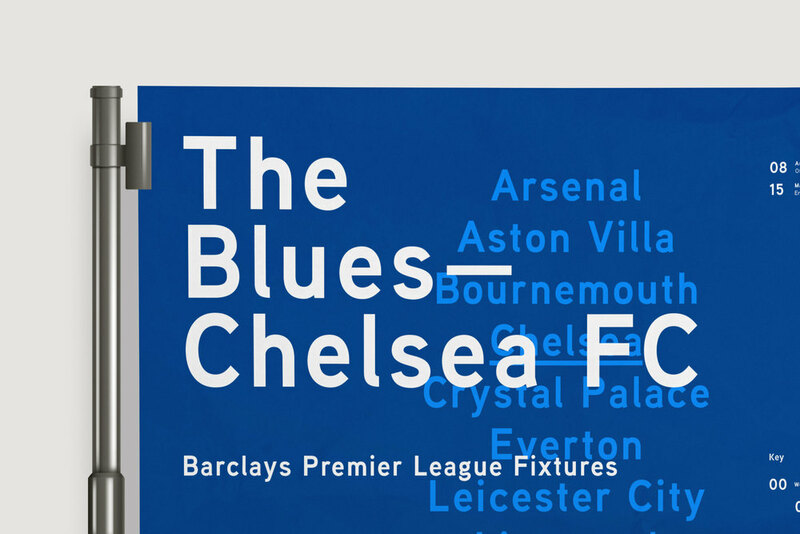 Typographic posters for the Barclays Premier League for the 15/16 season. A run of 10 prints for each team will be produced. Each month shows who the chosen team will play, the time, and the ground it will be played. Indents represent mid-week games that differ from the usual weekend fixtures. Forms part of a series of posters, one for each of the 20 Premier League teams.